The weather is getting nicer around the midwest, and we are ready for it! 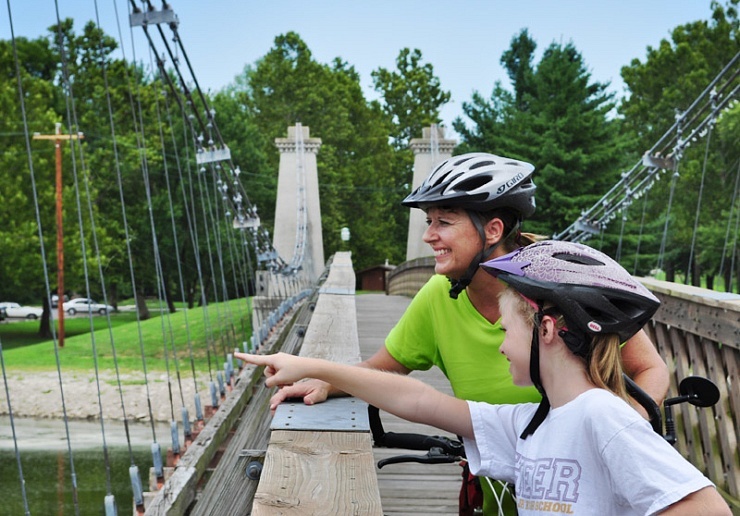 After spending the last several months indoors, it is time to stretch your legs at one of the many Biking and Walking Trails located in our 23 counties. Finding a great trail can not only help your health, but it can also help you connect with nature. Sometimes a path may be around a small lake, or it could be part of a much large trail like the American Discovery Trail. This trail stretches 6,800 miles Illinois shares it with 14 other states. The part that goes through our territory is over 100 miles and has historical stops and scenic views. Some of the trails go through Fort Kaskaskia, Fort de Chartres, Modoc, Prairie du Rocher, and Cahokia. All of these stops boast beautiful scenery, and some even show off the mighty Mississippi River. In the middle of our territory, we also have the Carlyle Lake Prairie View Trail. The trail is great to visit if you want to take in magnificent views of the largest human-made lake in Illinois, Carlyle Lake. Starting at the Carlyle Lake Visitors Center and running to the Carlyle Lake/Kaskaskia River Dam, this 10-mile trail is perfect for walking or biking with black top and concrete surfaces. If you are looking for amazing views on the Eastern side of the state, you have to check out the trail at Red Hills State Park. It is 8 miles of moderate difficulty, but the views are breathtaking. 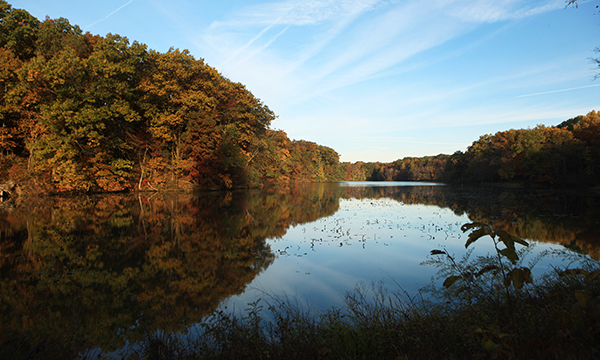 While you are going through the park, you can stop and have a picnic, cast a pole and do some fishing, or enjoy the sound of the trees in the breeze. This is just a small sampling of the many trails ILLINOISouth is home to. To search all of our trails, please click here.